The region at the centre of a hurricane about which the winds rotate, but which itself is relatively calm, is commonly known as the eye of the storm. Swirling around the eye of the global economy are the interconnected, chaotic forces of “peak valuation” in stocks, real estate and bonds, not to mention the headline-grabbing European banking crisis, and a cascading torrent of geopolitical tension that inevitably accompanies financial instability. Many investors are waiting in this false calm for come what may, huddled in the increasingly flimsy shelters of overpriced financial assets and fiat currencies backed by nothing. These digitally produced currencies are further exposed to risk in banks where depositors and bondholders can be subjected to bank bail-in legislation. 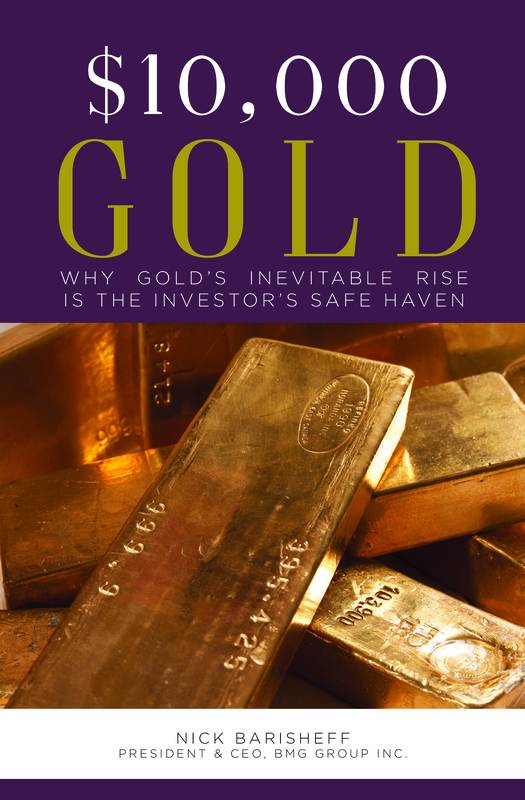 Not content to remain in the financial equivalent of a tin shack, an informed minority of investors and advisors are prepared with a prudent allocation of up to 20% of their investable assets in precious metals. As the swirling winds pick up speed and threaten to change direction, these people are adding silver to portfolios intended to weather all storms. In US dollar terms, silver is up 26.2% compared to 17.8% for gold, 4.7% for the S&P 500 and 12.4% for the S&P/TSX. All of that compares to a year-to-date return of 0.92% on one-year US treasury that supposedly represent the world’s safe-haven currency. 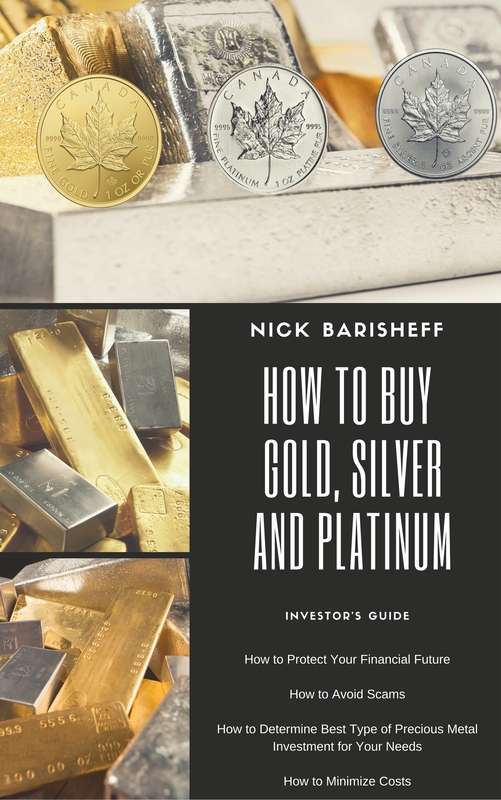 Before I explore the economic drivers for the rapid rise of silver bullion and why its stellar performance will likely continue, let’s take a satellite-high view of the financial storm that is fast engulfing us. The inability of the world’s largest multinationals to grow their profits is an eerie contrast to the current Shiller Price-to-Earnings (P/E) ratio for the S&P 500 of 27. With 15 indicating fair value, the S&P 500 has exceeded 27 only three times in 130 years.­ This peak valuation metric telegraphed the epic Depression-era stock market crash of 1929, the Tech Wreck of 2000-2002, and the Financial Crisis of 2008. Moving from stocks to real estate, the Canadian housing market has also been flagged for peak valuation. According to Statistics Canada, our country’s household debt rose to a new record high of $2 trillion, driven by an increase in mortgage debt. The Economist’s annual survey of global house prices now estimates Canadian houses are overvalued by more than 40%, up from 35% in 2015. This “nothing is safer than houses” attitude of Canadians has helped push national household debt to disposable income to a new record high of 170.5%, as compared to 138% for our subprime American cousins. An equally threatening cloud of mispriced bonds has joined real estate and stocks in our swirling financial hurricane. Nowhere is this more evident than in the issuance of negative-yield bonds by governments around the world. Several analysts believe that Canada may soon join this negative interest-rate club. Presently, $13.4 trillion of negative yield debt requires careful savers seeking safe harbour to be annually penalized by government spenders bent on competitive currency devaluation. This negative-yield phenomenon violates 5,000 years of recorded financial history where people were paid for the use of their money, and is nothing more than a race to the bottom through ever-increasing rounds of debt issuance. With this churning uncertainty around our financial future, is it any wonder that precious metals are out-performing financial assets of all descriptions? 37 million, an increase of 421%. In our modern age, silver also possesses unique supply-demand characteristics. Whereas most gold that has ever been mined is stored as wealth, saved as jewelry or recycled, approximately 50% of silver’s annual mining output is consumed by unrecoverable usages in consumer and industrial electronics (nothing conducts electricity better than silver), solar panels and emerging applications in antibacterial clothing, medicine and food. Even if silver were to quadruple in price, it would have minimal input on the price of a cellphone. Apple would still have to use it in iPhones regardless of price, and the minute quantities used would have minimal impact of the price of the phone. Silver is currently undervalued based on the gold-silver ratio. At the current silver price of $17.50 per ounce, the gold-to-silver price ratio is hovering at 72:1. Even during the 43 years that saw US President Nixon decouple US dollars from any kind of precious metals backing and launch the world into its present-day fiat currency maelstrom, the ratio’s average has been 47:1. For his part, Neumeyer calls the current 21st century ratio of 72:1 “insane” and “unsustainable.” He asserts that a fair price for silver, given today’s supply-demand fundamentals, is $100 an ounce, a far cry from today’s spot price of $17.50 an ounce. While mining CEOs’ enthusiasm for their products is legendary, the cooler heads at BMO Capital Markets say they see a bright future for gold over the next two years, but more so for silver. Their analysts expect safe-haven demand will drive silver prices to an average of $23.63 an ounce in 2017, up 13% from the previous forecast of $20.88 an ounce. That said, last year the same analysts predicted a flat year for silver for 2016 versus the current eye-popping performance gain of 26.2% so far. Perhaps Mr. Neumeyer’s enthusiasm is not misplaced. What is definitely not misplaced in this stormy financial environment is concern over geopolitical wrangling in the South China Sea, Eastern Europe and Syria. Masters of understatement, the Stratfor global intelligence company’s third-quarter forecast for 2016 starts out by stating, “The global economy is ill at ease, and there is more volatility in store in the coming months.” With opposing superpowers involved in each of these conflicts, it will only take one major escalation to send more investors to the safe haven of precious metals investments. Last but not least, let us not forget the financial hurricane threat posed by the rapid decline of the European banking sector, particularly Germany’s banking behemoth, Deutsche Bank. 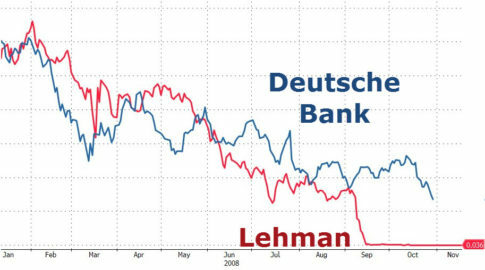 Deutsche Bank’s share price has declined 88% from its 2007 high, and 48% for 2016 year to date. The vociferous denials of its ill health by banking and government officials alike feel like 2008 all over again. As Deutsche Bank’s woes compound, Wells Fargo is down 19.4%, and even “safe as houses” Canadian banks are up an average 12.5%. 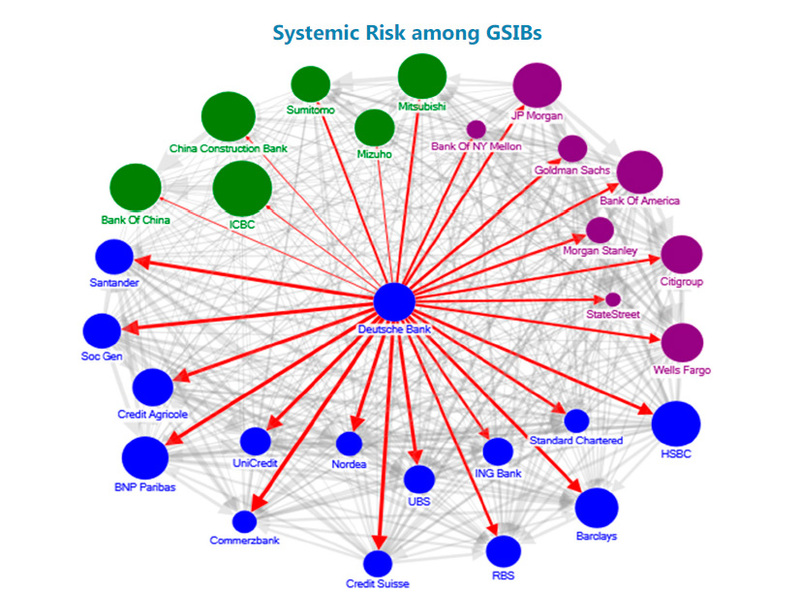 If you want to see an eye of the storm diagram, please cast your gaze on this chart showing the global systemic banking risk posed by Deutsche Bank. 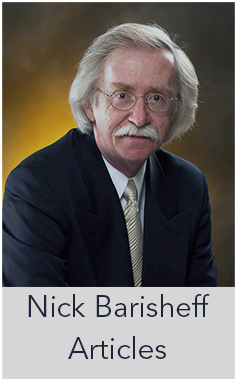 The eye of the storm is a fortunate place to be if your safe-haven edifices include precious metals, but I want to stress that all precious metals investment vehicles are not created equal. Canadian investors can ask financial advisors about mutual funds from Bullion Management Group Inc. (BMG), all of which invest exclusively in bullion, and the new BMG Silver BullionFund, which is eligible for TFSAs, RRSPs and RESPs. Global investors can take advantage of BMG’s BullionBars™ program that allows the choice of bullion coins or Good Delivery bars in gold, silver and platinum, stored in LBMA-member vaults on an allocated, insured basis with worldwide, multi-location storage options. The BMG funds offer investors the security of allocated, insured bullion without compromising any of the fundamental attributes of precious metals ownership: immediate liquidity; no reliance on management skills; no counterparty risk; and no use of derivatives, futures, options, leasing, currency hedging or gold certificates. All bullion in BMG Funds also meets London Good Delivery Standards, and BMG is an Associate Member of the London Bullion Market Association (LBMA).